Strong for Subaru in Onehunga, Auckland, New Zealand is a Subaru specialist dismantler, importer and exporter of recycled, used Subaru parts for all Subaru models from 1989 onwards. Plus we also stock a range of new parts for Subaru cars, for Subaru Forester, Impreza, Legacy, Subaru Outback, R2, Justy, Vivio, Ace, Subaru Traviq, SVX and Subaru Tribeca. You’ll save money when you purchase used Subaru parts from us because some of our used parts are less than half of the new Subaru parts price. And all Subaru parts that we sell have a warranty for your peace of mind. Your parts for Subaru can be shipped to anywhere throughout Auckland, or New Zealand, or worldwide. To arrange a quote and shipping price, contact our friendly team on 0800 634 0065. Our used Subaru parts are sourced from numerous places within New Zealand, plus we import thousands of Subaru parts from Japan by container and air freight every month. We receive one or two containers per month from Japan and also import the occasional late model damaged Subaru from Japan for parts. We have a special website set up just to sell our used and new accessory Subaru parts such as coil over shocks, blow off valves, mufflers and exhausts etc, you can purchase them online from our other website go here to take a look. All parts supplied by Strong for Subaru are guaranteed. You can read more about the warranty here. Strong for Subaru stock a selected range of new Subaru parts too. Just call our friendly team on 0800 634 0065 to enquire. At Strong for Subaru, we have a weekly video conference with our Japanese parts supplier about hard-to-find parts for Subaru. They’re quick to respond to our special orders, so if a customer has a one-off Subaru order we can usually have an answer within the week. Want to see the part before you buy it? Or prefer having a face-to-face chat with our specialist Subaru team? Then visit our showroom in Onehunga, Auckland, NZ. Location details and opening hours are here. Strong for Subaru is a preferred supplier of used Subaru parts to the major insurance companies in New Zealand, as well as to automotive workshops, auto electrical and panel shops through out the country. We’re a member of the Strong Group of independent parts suppliers, which is New Zealand’s leading specialist used automotive parts supplier group. our team loves Subaru cars as much as you do, and they’re happy to help you and share their expert advice. Just give them a call on 0800 634 0065. We’re the eco-friendly car wreckers! As well as being kind on your pocket, you’re also being kind to the environment when you buy a used Subaru part from us. 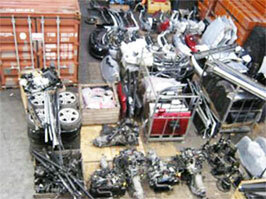 Find out more about our car parts recycling here. Call our friendly team on 0800 634 0065 with your requirements, or visit our showroom. Location, opening hours and payment options are here. 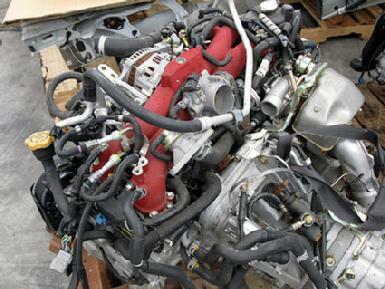 Huge range of Subaru Engines in stock. At Strong for Subaru we always have a huge range of quality tested Subaru engines in stock (just like the Sti EJ257 shown here). We stock Subaru engines and mechanical parts for just about every Subaru car available in New Zealand. An advantage with our Subaru engines is that they are all run tested in the car before we remove them for sale, plus they come with our written warranty for your piece of mind. At Strong for Subaru we import many used subaru parts from Japan every month, we can also supply you with new parts on request and because we have our own suppliers in Japan we have the ability to do special one off Subaru parts orders. We receive at least one 20-foot container full of used Subaru parts every two weeks, so we have a very consistant supply of used Subaru parts, and that means we usually have the part you need in stock. The Strong for Subaru yard is huge! We’re bound to have the parts for Subaru cars you’re looking for – and at a good price. 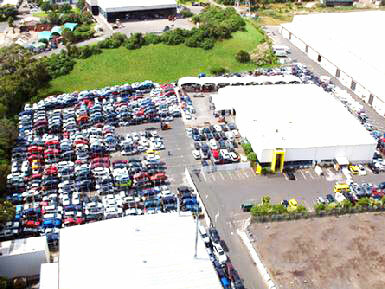 Situated at 75 Captain Springs Road, Onehunga Auckland New Zealand, we have one of the largest Subaru stock holding yards in New Zealand, we hold 100’s of Subaru’s for parts. We have ample off street parking and a full service showroom full of all sorts of Subaru parts! Simply come into our showroom and hand over your AA Smartfuel card to receive your fuel savings when you buy parts from us. Spend over $25.00 and you get to save! Don't have a card? we'll GIVE you one for free! Need more information about AA Smartfuel? Click here to find out more!